Volunteer opportunities are available for community residents, students (over the age of 18) and people with higher education degrees . 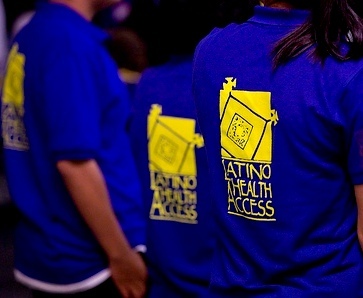 At Latino Health Access, we are conscious of the importance of community participation in helping residents living in areas where the social conditions that determine health are working against them to become aware of the need for change, increase their commitment to change, and see their role in the change process. If you want to be a part of this change please choose a program from the job descriptions below to start the volunteer application process. Review our list of intern and volunteer positions and choose the one you are interested in and have the qualifications for. Fill out all the fields of the Volunteer Interest Form below. Send e-mail to the appropriate contact within the desired job description requesting the position. In one to two weeks, you should receive an email or phone call for a brief interview from the potential supervisor. In this interview, you will have the opportunity to discuss and agree on your schedule, starting date, training and any other details referring to the program. If you are accepted, you will be asked to participate in an orientation training where you will receive more information about our agency and sign our volunteer policies. We thank you for being interested in participating as a volunteer at our agency. To us, your participation as a youth leader can make the difference is creating a healthier community. This is why we explain to you how you can integrate yourself into our team of youth volunteers at LHA. We need to be able to offer you training that allows you to complete your volunteer hours while also learning how to be a leader for our community because we believe that the skills you learn can be used as powerful and useful tools in your life and future. This is why we invite you to participate in our youth group, which has different weekly activities in which you can integrate yourself. YOU MUST PARTICIPATE IN THE ACTIVITIES FOR A MINIMUM OF 2 HOURS PER WEEK. Once you fill out the volunteer interest form, we will call you within a week to invite you to our youth activities and you can decide which ones you would like to participate in. One of our promoters will register you as a participant and will help you complete your volunteer hours or community service, informing you of the activities that you can help support. If you need to complete community service hours as mandated by the court, we will request that your mother, father or guardian participates in one of our groups and registers as a participant. We want to support you and your family in these possibly difficult times that you are going through. It is important that you fill out all the information that we are asking for with clarity so that we can have the information we need to help locate and assist you better. We will try to email or phone call you as soon as possible. Job description Assist in the set-up of the classroom prior to the diabetes class, collect attendance lists, assist in the monitoring of the glucose exams by participants to ensure all precautions are taken, assist the Promotor in the distribution and/or collection of educational materials or class charts, help participants with translation during the classes and specialty care appointments, help in the distribution of parking passes, and assist in office duties. Days and Time Preferences 1st and 3rd Monday of every month 8-12 p.m.
1st and 3rd Thursday of every month 8-12 p.m.
Friday 7-2 p.m. (depends on availability of Ophthalmology appointments). Learning Opportunity Participants take part in 12 weeks of peer-led instruction. Instructors are certified with a specialized curriculum and work with medical professionals. Participants are linked with professional health care providers. We challenge participants to role play, participate in demonstrations and share experiences. At each session, they measure blood glucose levels and body weight.Learn how to work in the public Health sector promoting chronic disease management. Work directly with clients in and out of class. Job Description Prepare materials for fitness and nutrition classes, Support community health worker in home visits and community activities, be able to connect with children and parents, file data, make copies, create folders, create booklets for department, enter data in excel, and assist the department team. Required skills Basic knowledge in computer skills (Microsoft Office), quick learner, self-starter, ability to work alone and meet deadlines, communication and organization skills, some experience in an office environment is a plus and an eagerness to learn is crucial. Learning Opportunity Will train the intern(s) and work with their strengths in order to utilize their skills. Also, I will allow them to learn more about the Healthy Weight team and our importance to the organization. At the end of the internship fundamental understanding of LHA’s mission will be achieved.Training in work with children and youth using some ideas of Narrative practice as applied to Healthy Weight program. Job description Support Communications coordinator in office assignments, manage information; Update databases and media lists, Assists with fund raising activities and other tasks related to communications. Required skills Must be comfortable using web-based databases (constant contact), WordPress and Microsoft programs; bilingual (English/Spanish) preferred, Solid editing and researching skills and ability to work independently and take initiative. Learning Opportunity Intern will have the opportunity Assist with the coordination and facilitation of special events, provide administrative support, multiplatform content strategy and production (including web, e-mail and social), and participate in interview process of video production assignments. Training using the web-based database, will be provided. Job description Preparing materials for emotional wellness and leadership classes with children and adults, Support community health worker with in home visits and community activities, be able to connect with children and parents, filing data, making copies, creating folders, entering data in excel and assist the Kids and Families Caring for Communities’ Team. Required skills Basic knowledge in computer skills (Microsoft Office), quick learner, self-starter, Preferably bilingual or interested in interacting with different ethnic groups, communication and organization skills, some experience in an office environment is a plus and an eagerness to learn is crucial. Learning Opportunity We will train the intern(s) and work with their strengths in order to utilize their skills. They will receive training in Creative Outreach and how to work with children and youth using some ideas of Narrative practice applied to Kids and Families program. At the end of the internship fundamental understanding of LHA’s mission will be achieved. Job description The job requires someone to greet participants in a friendly manner and check them in to their activities. It requires someone to enter data and to be able to manage a computer and a conversation at the same time in a gracious manner. It will also require brief intake interviews. Reception, data collection and information about services. Required skills Must be comfortable using web-based databases; have an understanding of Spanish; ability to work alone, and some experience in an office environment. Must be comfortable talking to people, explain services and invite them to participate. Monday to Saturday , 3 to 7 pm. Learning Opportunity Volunteer will learn more about the importance of collecting and entering data and at the end of the internship fundamental understanding of LHA’s mission will be achieved. Training in EZ Facility program will be provided. Training in sensitive and cultural competent community approach will be provided. Learning about our programs and services. Job description Assist in preparing materials for support groups and educational classes with children, youth and adults. Support community health workers with home visits and community activities, be able to connect with children, youth and adults, help to register new participants, making phone calls, making copies, creating folders, doing door to door outreach, doing outreach during health fairs, entering data, and sometimes translating to participants or translating documents. Required skills Basic knowledge in computer skills, self-starter, and an eagerness to learn is crucial. Must be comfortable talking to people, explain services and invite them to participate. Learning Opportunity We will train the intern(s) and work with their strengths in order to utilize their skills. They will receive training in Creative Outreach and how to work with children, youth and adults using some ideas of Narrative practice applied to EW program. At the end of the internship fundamental understanding of LHA’s mission will be achieved. Job description LHA is leading implement a comprehensive community outreach for the Santa Ana Active Transportation Plan (ATP) to improve access, mobility, and safety for nonmotorized modes of travel, including walking, rolling, and access to transit throughout Santa Ana. About 10-20 hours per week. Depends on week events and activities. 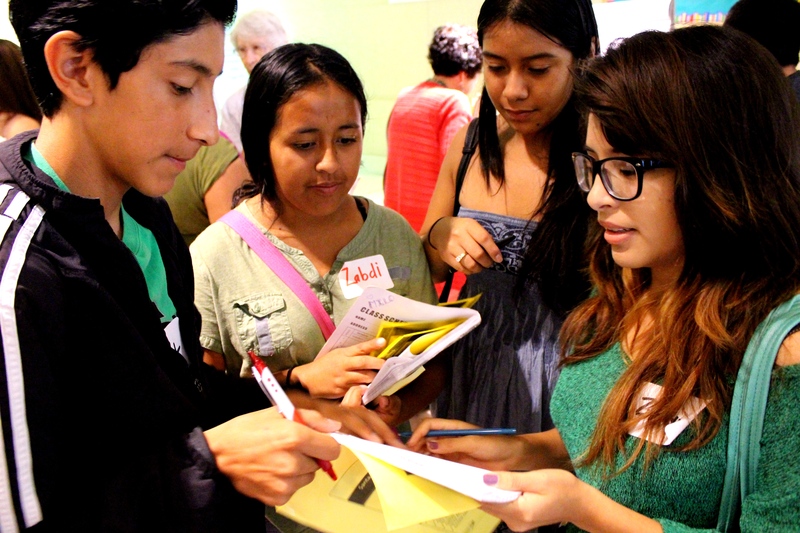 Community engagement & Advocacy intern to support various projects in the department including creating animations, info graphics, videos, etc to showcase current conditions in Santa Ana and policy advocacy campaigns being carried out. 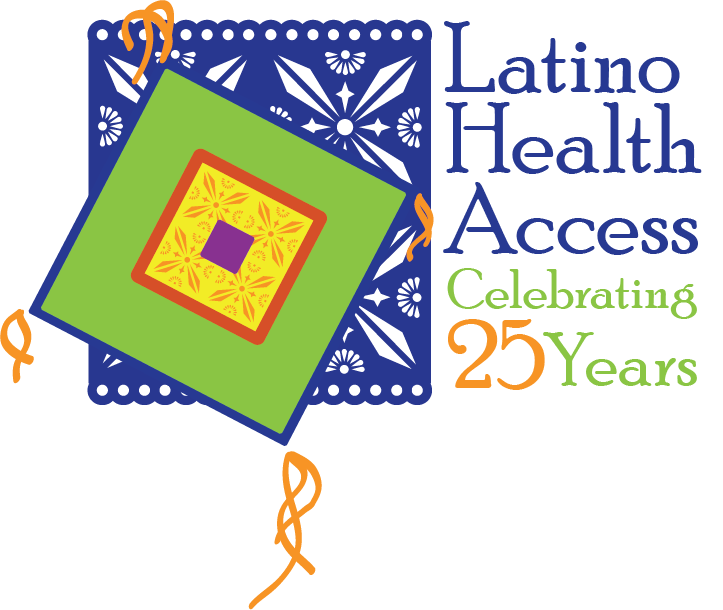 Works closely with community engagement promotores and program coordinator to develop messaging for design projects. Also supports in other departmental needs including clerical, outreach, and research. The CEA intern also participates in local policy efforts underway with support from promotores, CEA coordinator, and Director. Learning Opportunity CEA interns have the opportunity to learn about authentic community engagement as done by promotores for health education and prevention through a social determinants lens with the ultimate goal of influencing local policies that impact the health of all Santa Ana residents. It is important that interns are able to apply their skills and knowledge. We encourage a work plan that allows for this as well as to explore new areas of interest.